This handbook provides a comprehensive introduction to the theory and practice of psychodrama for professional and trainee psychodramatists. Following an introduction to the history and philosophy of psychodrama the theory is then brought to life by detailed first-hand accounts of psychodrama sessions. The structure of the book innovatively reflects that of the classic psychodrama session - Warm Up, Action, Sharing and the subsequent Processing. 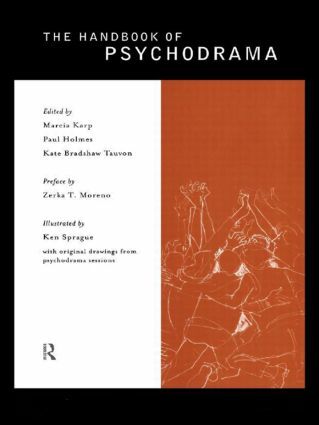 Chapters on psychodrama in action include discussion on the new use of psychodrama in the treatment of depression, and the relationship of the discipline to other group psychotherapies. The contributors vividly illustrate the contribution dramatic improvisation can make to emotional health.